Violence and Instability on Russia’s Border. Towards a New Proxy Regime in Kiev? Events in Ukraine (and Eastern Europe) target Russia – part of Washington’s longstanding regime change agenda, wanting US-controlled puppet governance replacing Russian sovereignty, eliminating a key rival power, giving America access to a huge new source of vital resources. Valentin Nalivaichenko, former Ukrainian security service head, or Sergei Levochkin, former Yanukovych chief of staff. A previous article explained Ukrainians overwhelmingly despise Poroshenko. Calls persist for him to step down. Replacing him won’t surprise anyone. Meanwhile, war on Donbass rages. Western media largely ignore daily shelling by junta forces – including attacks on residential areas, hospitals, schools and other nonmilitary targets. (C)ylinders of toxic gases and containers of poisonous substances were delivered to the technological facilities of high-voltage insulators plant in Kramatorsk street, town of Slavyansk. There’s chlorine in cylinders, not less than five covered wagons, also other containers with contents I know nothing about labeled with words and signs “poison,” “danger,” “do not touch without protection. All of it was brought in under the guise of varnishes and paints, but I know the look of the packaging of both, and whatever was brought here last week has got nothing to do with it. It looks like a chemical weapon. They don’t let anyone in the warehouse. There is round-the-clock guard in military uniform without insignia. All the time there’s been some strange hustle and bustle. Harm as many civilians as possible. Show dead bodies on TV for Europe and America to intervene. This is actually why I am calling from Slavyansk, we don’t want to be Guinea pigs and die for Poroshenko or America. Tell everyone that Kiev is preparing a provocation with chemical weapons…This information was confirmed by at least one source in the region, an employee of a major transportation company engaged in the transshipment of cargo from rail to road. According to this source, the dangerous cargo was jointly accompanied by intelligence services of Ukraine and military, and in full cooperation with the central and local authorities. If a major chemical weapons attack on Donbass occurs, the source will be proved right. It won’t be the first time. Kiev used toxic substances and cluster munitions against area freedom fighters earlier. Western media ignored what happened. “(R)ight-wing volunteer militia leader Dmytro Korchynsky” has a large following in Ukraine. “I want to lead a crusade against Russia,” he said. Our goal is not only the expulsion of the occupiers, but also vengeance. Moscow must burn. Reuters said Korchynsky wants to create a Christian “Taliban movement.” VOS reported 40 (right-wing, ultranationalist) volunteer militia groups active in Ukraine. Many of their members were Maidan protesters involved in ousting the former Yanukovych government. VOS said they pose a serious threat to the current regime – especially if they have US backing over dissatisfaction with Poroshenko, prime minister Arseniy Yatsenyuk and other Kiev officials. They demand Poroshenko’s ouster, imposition of martial law, full-scale war on Donbass, “unity” of Ukraine by any means necessary, and perhaps disruptive activities against Russia. On Monday, Moscow’s EU envoy Vladimir Chizhov said Ukraine’s constitutional changes violate the letter and spirit of Minsk – calling for Donbass “special status” self-governance. Poroshenko rejects it – saying constitutional amendments he proposed prohibit “special status.” Chizhov accused him of introducing changes without consulting Donbass officials as required by Minsk, excluding their rights, flagrantly violating ceasefire terms. “I think the core of the problem is the inability, or unwillingness, or both, of the Ukrainian government and President Poroshenko to sit down and negotiate directly with representatives of Donetsk and Lugansk,” Chizhov explained. 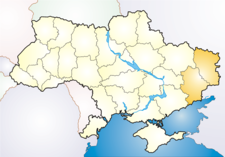 The rights of Donbass residents are excluded from Kiev’s parliamentary debates. Policies directed by Washington call for continued war, defeating Donbass freedom fighters and maintaining instability on Russia’s border. America’s agenda heightens the possibility of direct confrontation – a reckless policy risking the use of nuclear weapons for the first time since WW II.